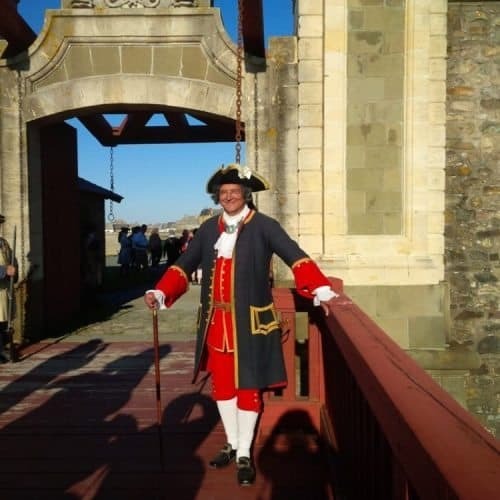 Cape Breton - Louisbourg Fortress - Sentry at the Dauphin Gate. Louisbourg! The largest reconstruction project in North America. I had often read and heard about this large and historic French fort which is one of the foundations of Canadian history. First built in 1713 by the French on Cape Breton, Nova Scotia’s new touristic island, it was captured by the British in 1745, and the inhabitants allowed to surrender with honor. Returned to the French in 1748, the terms of the Treaty that ended the War of Austrian succession, then reconquered by the British in 1758, this time the British were not so magnanimous. They burned down the fortress and it lay dormant in its ruins until the 20th century. In 1961, with the help of a huge grant of $25 million dollars by Prime Minister Diefenbaker’s government and by the employment of the idle coal miners of Cape Breton, one-fifth of the fortress town was reconstructed according to its original blueprint. After the completion of this reconstruction, it has been a tourist mecca drawing visitors from the four corners of the globe. It is a unique strange place. 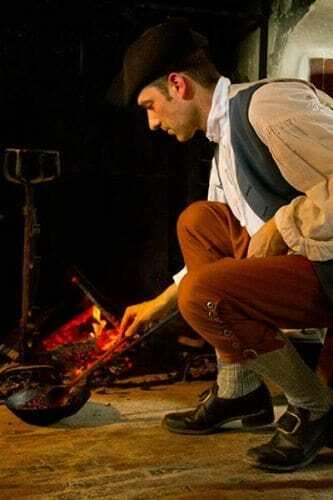 A laborer roasting coffee beans at Louisbourg Fortress. Today the reconstructed fortress has been made a living symbol of the time the French were the owners of this part of Canada. The buildings are all authentic 18th century reconstruction. 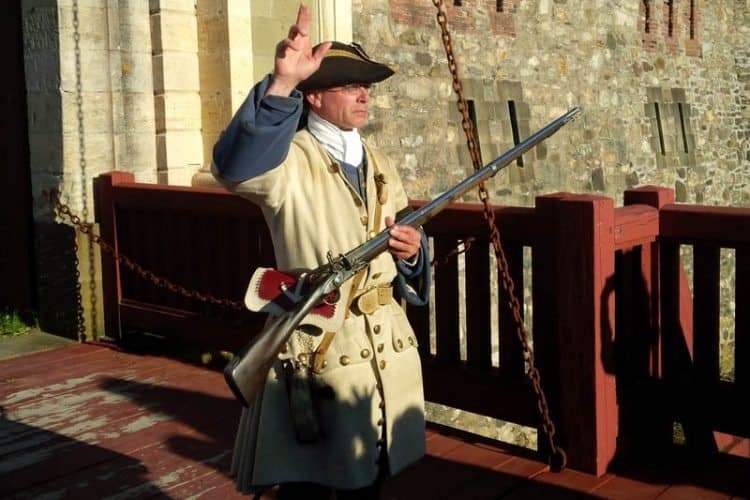 The people that tourists see working inside the fort all dressed in period clothing, are working in shops, strolling down the streets, selling their wares and greeting tourists in the authentic French of that period. As we entered inside the fortress’s walls, the reconstructed site lay before us in all its authenticity. To be honest, I was stunned. History had come alive. Turning up the main street of the fortress, women dressed in dresses accentuating their hips. Those decorated with lace representing the upper classes, and those without, the servant class, chatting among themselves and with visitors. Intermixed were gentlemen clad in their finest attire with others dressed in clothing of the lower classes. Close enough to being authentically dressed, these representatives of upper class female society did not seem to be wearing the tightly fit corsets that eventually deformed their bodies. Corsets were then fashionable so that a woman would appear to have wide hips also with the help of hoop-skirts thus enhancing her appeal for child-bearing. On the other hand, 18th century males were in demand if they had large well-developed calves this indicated that they had a life of leisure, the calves indicating that they enjoyed time-spent dancing the minuet on their toes – a good catch for a young lady as this would mean a rich husband and a life of luxury for the wife. Added to this confusion, we had just learned that 18th century residents of the fortress did not bathe, the belief being that submerging the body in water destroys the essentials oils that protect the body from disease. 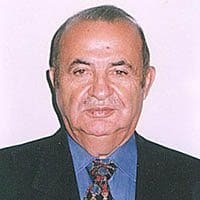 Albeit the exposed parts of the body like the hands and face would receive a scrubbing, no doubt the human body smell would have been unbearable. And this was among both the lower and upper classes. 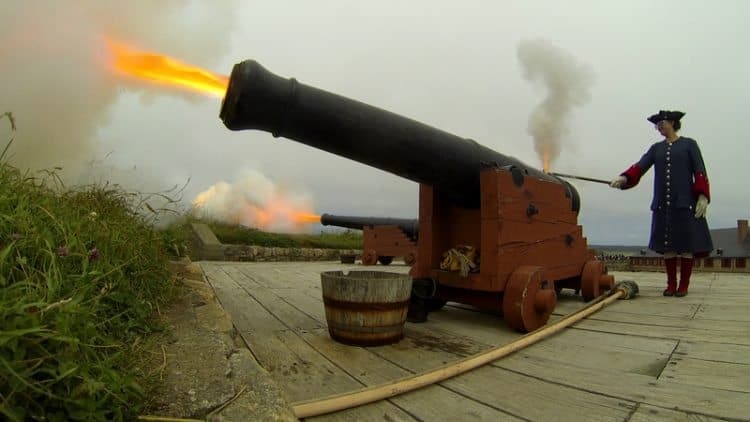 Cannoneer training at the Fortress. With just over a dozen buildings open to the public including three restaurants offering authentic 18th century dishes, visitors can experience the life of yore as it was in its heyday. It seemed to us that the actors living the life of bygone ages had awoken from hibernation moving around as they would have then in the 18th century. It was a world of panoramic colours and heritage. 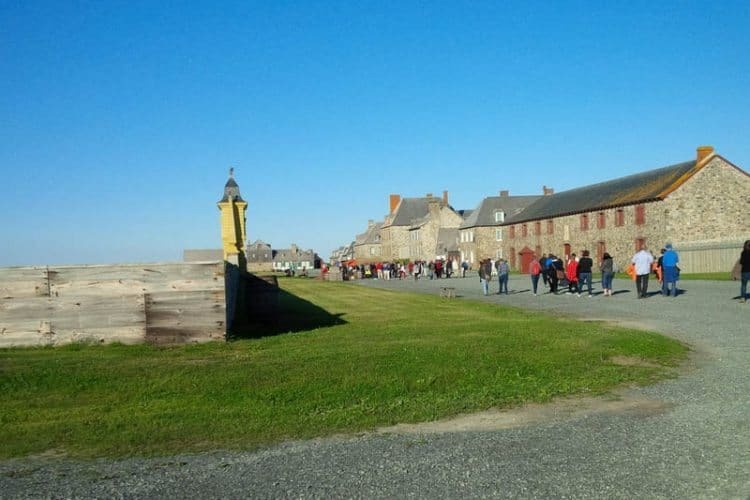 During a day’s visit, life in 18th century Louisbourg comes alive. French soldiers intermingle with fishermen, sailors and servants, ladies of leisure dance the minuet in parlours, the aroma of baking bread from the King’s Bakery envelops the senses, taverns are busy with rum-drinking customers while children run around and play as was done 300 years ago. History of yore is alive and well within the Fortress. It’s like a time-warp. The beauty of this place is that you mix with the ‘locals’ or as they call themselves, ‘interpreters of history’. And there is much more. Gardens with period herbs and other greens are lush especially the lavender garden. There are even grazing areas for sheep and goats, while geese saunter in the streets of the rebuilt city oblivious to tourists and ‘locals’ alike. If you are there for the full day, you will feel the trembling of the earth below you as the cannon and muskets boom. For the late afternoon, one can attend a murder mystery enactment where the audience participates in solving the case. The restaurants offer period cuisine and even snacks while one features a dinner theatre event. Soon we had crossed the main street and through another wall’s gate to dine in a tent for a dinner prepared by students of the Nova Scotia Community College’s Culinary Program. After countless dishes of appetizers, we were ready for the main course. Soon dozens of waiters slapped won in front of us hot whole boiled lobsters. Many of our group being unskilled at eating this crustacean, did not know how to shell it. Some hissed like cats being cornered, others laughed, while the majority tried to break the lobster open by hand and failing at the task. It was a confusion of eating bits of lobster while trying to squeeze the meat out of the shell. Inside the fortress city in Cape Breton. But she really did enjoy the ‘spirits’ of the fortress. Not much to my liking but for her a relaxing drink, the Louisbourg Rum Punch, a combination of Fortress Rum, sugar, lemon juice and water, seemed to take her back to her longing of being a wench. It was as if we had visited a living town from history. In the words of my daughter as we departed the scene and once again we reached reality: “I really enjoyed the visit but I’m happy that I was not a wench living at that time. Imagine! No bathing!” So much for the romanticism of the past. 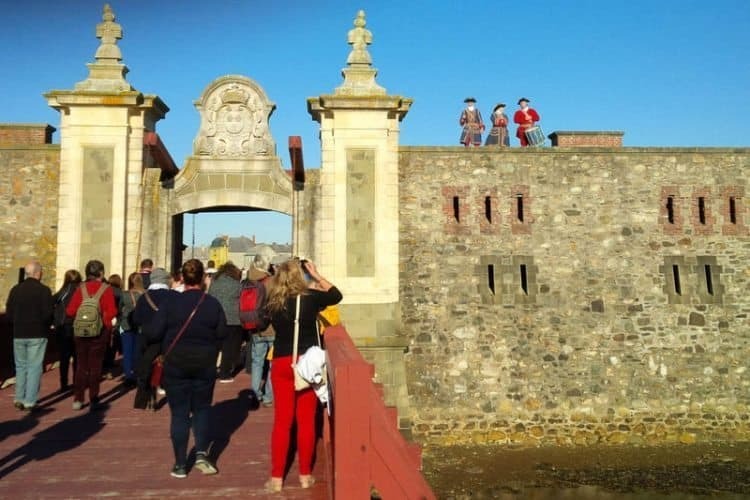 Visiting Fortress Louisbourg: the best time to visit the fortress is during July and August, its peak season when the weather is guaranteed to be beautiful. It is open daily during that time from 9:30 a.m. to 5:00 p.m.
Accommodation: one of the most beautiful B&Bs in Cape Breton is the Louisbourg Harbour Inn, a beautifully renovated century-old sea captain’s house. Located in the heart of Louisbourg town, it is only a couple of miles from Fortress. Immaculately clean and very comfortable where you can feel the fresh air of the sea, the friendly staff make you welcome as if you are at home: 9 Lower Warren Street, Louisbourg, Nova Scotia; Toll free tel: 1-888-888-8466; website. Charles Dickens was a Travel Writer, Too! Yes, it’s sure worth a visit to see and experience history alive.